Pictured is a rendering of the Middlebury Crossing development proposed for the corner of Home and Steitz roads in Liberty Township. Powell City Council heard the first reading of a pre-annexation agreement between the city, Home Stietz LLC, and TLK Development for approximately 11.5 acres located on the corner of Home and Steitz roads in Liberty Township. The annexation of the land would be notable for the city as the development, along with the Ohio State University medical facility in the works near the northeast corner of Sawmill Parkway and Home Road, would mark the first time the city has extended north of Home Road. Since June, the location has been a hot button issue for the residents living near the land. Initially, developer John Wicks sought to develop the land for multiple purposes that included a gas station, office buildings, and storage units. 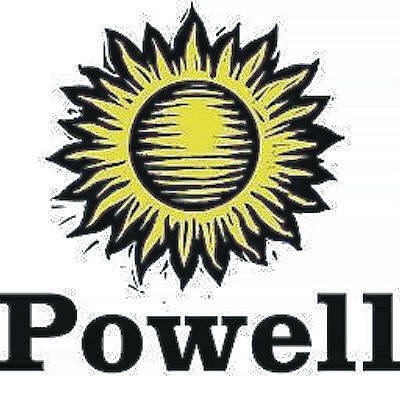 The proposal was met with considerable outcry from neighbors and was ultimately turned down by the Powell Planning and Zoning Commission. In November, after several discussions with residents about what they would prefer out of the development, Wicks came back to planning and zoning officials with a revamped proposal. The updated development eliminated the gas station and storage units, which received the most ire from residents, and included the potential for a Delaware County District Library (DCDL) branch. The inclusion of a library came at the suggestion of residents. Unbeknownst to them at the time, DCDL was looking to construct a new building in southern Delaware County, making for a potentially perfect partnership. DCDL Director George Needham said following the district’s levy renewal in November that a new location in the Powell and Liberty Township area was being discussed. During the November planning commission meeting, Needham would not say definitively the Steitz and Home roads development would be chosen, but he made it clear the location was the preferred option at that time. A preliminary development plan of “Middlebury Crossing,” as it has been named, was approved at the Jan. 16 Planning and Zoning Commission meeting. 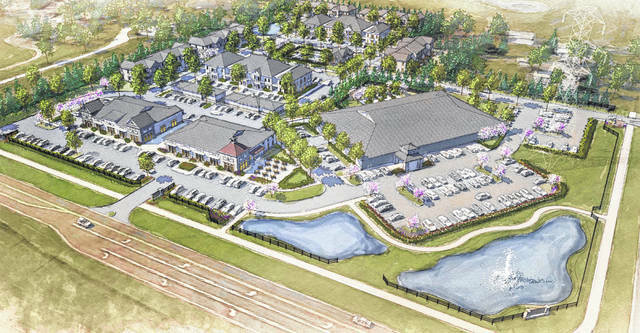 The plan includes two retail or office buildings on the southwest portion of the development, facing Home Road, and a 62-unit townhome and apartment community behind them. During that meeting, alternative plans were discussed should DCDL decide on a different location. In particular, the 25,000-square-foot library building could be used for additional office-type purposes. A timeframe for the submission of a final development plan for Middlebury Crossing is undetermined as the developers await a decision from DCDL on the library location. On Wednesday, Needham provided an update, saying the board has narrowed its consideration down to two sites, including the Middlebury Crossing site, and are still undergoing analysis of both. He added the hope is for a final decision to be made at the DCDL’s March board meeting. https://www.delgazette.com/wp-content/uploads/sites/40/2019/02/web1_Powell.jpegPictured is a rendering of the Middlebury Crossing development proposed for the corner of Home and Steitz roads in Liberty Township.